Sensory Bounce is leading non-profit organization which provides best Occupational Therapy for Kids and helps them to be independent in their life. This program was designed in 2013 by Miriam Skydell, a paediatric occupational therapist and firstly lunched at Bounce U in Paramus, New Jersey and now it is running In 15 locations from Connecticut to Florida. This therapy centre not only helps children minimise their developmental delay but unlock their strength and assist them to lead a happy life. The expert therapist of Sensory Bounce emphasises on their learning and attention issues throughout their journey. It is the famous therapy centre which dedicated to provide expert advice regarding kid developmental process and helps the parents to recognize their challenges and develop their children capabilities. Occupational Therapy for Kids is a type of health care that designed to helps people of all ages to do the activities of daily living they struggle to do. This therapy uses exercises, activities, strategies to help them become more independent. Occupational Therapy becomes more beneficial for kids. It is used for a wide range of diseases and disorders and prepares the kids to lead healthy and normal life. OT focus on the learning and attention issue of the kids and also helps them in fine and gross motor tasks, self regulation and sensory processing issues. The therapy is carried out according to the child disability or condition. Sensory Bounce is a structured, exciting and dynamic group which offers Occupational Therapy program for children with special needs and assists them to regain the skill, need to perform the occupation of daily life. This organization helps the children improve their cognitive, physical, sensory and motor skills and enhance their self esteem and sense of accomplishment. The expert therapist in Sensory Bounce first evaluate the kid and then set out a therapy procedure to improve the processing and enable new learning. The professional team of the centre helps those children who are facing troubles in their daily activities like brushing, dressing, toileting, writing, drawing etc and emphasise to develop these self help skills in the children. Sensory Bounce also works on sensory processing issues and helps kids who are unable to synthesize information in the basic five senses. The OT practitioners guide those young ones to regain the skills and address the issue in a proper manner. This occupational therapy program is also beneficial for the ones suffering from Cerebral Palsy, muscular dystrophy and other disorders. The expert team of this organization teaches the kids to use the wheel chair in a proper manner and do their regular works. 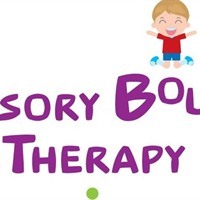 Sensory Bounce OT program is the proven method for Sensory Processing Disorder which involves communication problem, limited play skills, less interest in activities etc. In this case OT specialist help gain this skill by observing the child’s behaviour and develop a plan for them. They include some activities to help with interaction, puzzles to develop coordination and awareness and more. Except that Kids who are facing trouble in gross motor skill and fine motor skills like movement of their muscles in arms, legs etc this therapy is also a best option for them. Sensory Bounce deals with the condition and eradicates it. Sensory Bounce offers different activities for different age group of children with several diseases, depending on the condition. For toddlers and infants it offer common exercises like bath time activities, sand water therapy, providing gentle massage, feeding therapy, activities using specialized toys to make them deal with light and sound, olfactory input activities etc. For young ones also sensory integration activities which helps child to respond more actively and accurately, coordination activities, visual perception activities, activities for fine and gross motor skills, miscellaneous activity etc which help the kids to be dependent on their selves. Henry Matthew practicing as a therapist and mentor in Sensory Bounce Therapy Program. His education and professional background in both the psyche and the body gives him a one of a kind and powerful way to deal with counseling. He attempts to provide Outpatient Pediatric Occupational Therapy and Occupational Therapy for Kids with customized treatment plan that can be incorporated into their daily lives.